More than one-third of all of the world’s helicopter crashes occur in the United States. Because of their distinct design, helicopters are about 40 percent more likely to crash than fixed-wing planes. Military helicopters are particularly likely to crash, because they are often used for dangerous missions. The services of a skilled helicopter crash lawyer is likely to be necessary to assist victims or grieving loved ones in seeking fair compensation though the legal system. Helicopters fly at low altitudes where the airspace is more likely to be littered with obstructions. Helicopters can land in areas that are inaccessible to fixed-wing aircraft. Helicopters have more moving parts than fixed-wing aircraft (resulting in a greater number of potential malfunctions). Helicopters are more difficult to fly than fixed-wing aircraft, especially for novice pilots. Determining the cause or causes of a helicopter accident is one of the main functions of a helicopter accident lawyer. A helicopter crash might have more than one cause, however, and your claim might have to be asserted against more than one defendant to receive full compensation (the pilot’s liability insurance carrier and the manufacturer of a defective fuel gauge, for example). The legal system provides two main ways of pursuing a helicopter accident lawsuit – settlement and litigation. 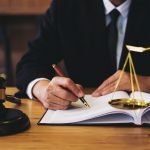 Proving your claim is not likely to be much easier at the bargaining table than it would be in court, however, and you may have to file a lawsuit to motivate the defendant to negotiate with you in the first place. Although the investigation of a helicopter crash for the purpose of pursuing a claim is likely to be expensive, two mitigating factors might work in your favor: (i) your lawyer might be willing to accept a contingency fee (“no win, no pay”) arrangement and (ii) verdicts and settlements in helicopter crash cases tend to be large because of the typically catastrophic nature of the injuries involved. The starting point is to find an experienced helicopter accident lawyer. Please search our directory of attorneys to find the right lawyer for your case.